Envisioning a day when millions of drones will buzz around delivering packages, watching crops or inspecting pipelines, a coalition is creating an airspace corridor in upstate New York where traffic management systems will be developed and unmanned aircraft can undergo safety and performance testing. The unmanned aircraft traffic management corridor, jump-started by a $30 million state investment, will extend 50 miles (80 kilometers) west over mostly rural farmland from Griffiss International Airport, a former Air Force base in Rome that is already home to NASA-affiliated drone testing. It will be equipped with radar and ground-based sensors to enable what Democratic Gov. Andrew Cuomo boasted would be "the most advanced drone testing in the country." 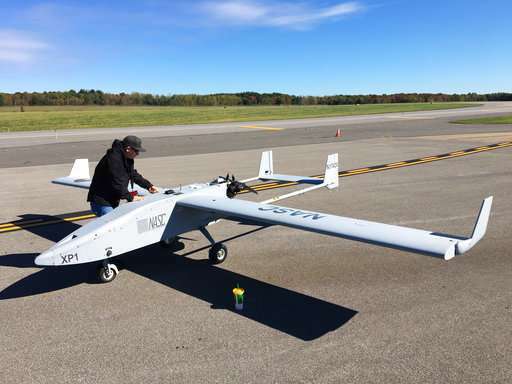 The first segment of the corridor was launched last month by the Northeast UAS Airspace Integration Research Alliance, a coalition of private and public entities and academic institutions in New York and Massachusetts created to establish Griffiss as a drone industry incubator. 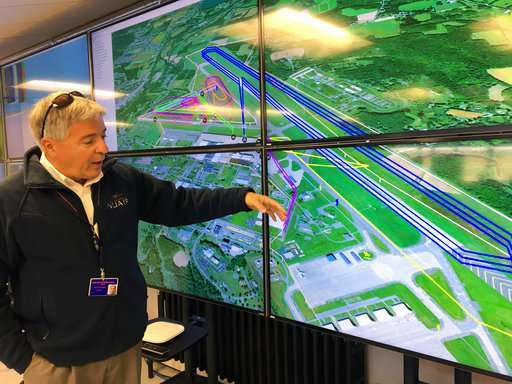 The airport is one of seven places around the country designated by the Federal Aviation Administration as an unmanned aircraft systems test site. Other sites are in Virginia, North Dakota, New Mexico, Texas, Nevada and Alaska. Testing at the airport now is restricted to a five-mile radius, in part because of Federal Aviation Administration rules that normally limit flying beyond the operator's line of sight, except in special circumstances, such as disaster area surveys. That keeps companies like Amazon and Walmart from using drones for package delivery. Companies will be able to use the corridor to test hardware in airspace where manned aircraft also fly. Part of the concept is to help NASA to test technology that will allow the FAA to create regulations opening the national airspace to a commercial drone industry. "Clients will eventually be able to fly beyond the visual line of sight in the corridor testing their technology," said Tony Basile, NUAIR's vice president for operations. 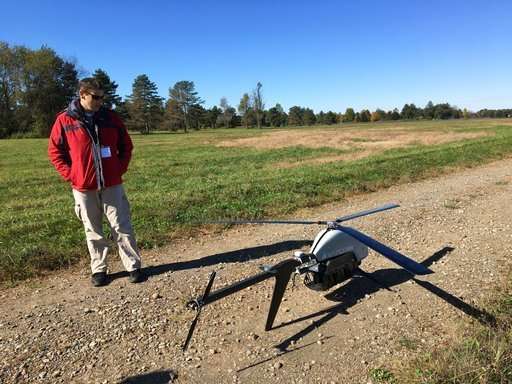 In addition to supporting development of drone air traffic control rules and systems, NUAIR helps unmanned aircraft service companies demonstrate their wares to clients and provides drone pilot training to state forest rangers, law enforcement and others. "We're evaluating aircraft today, but the ultimate goal is, how do we operate in a beyond-line-of-sight capability," said Glen Davis, safety director of AIROS, a General Electric venture company that was at Griffiss this week to test a 6-foot-(1.8-meter) long unmanned helicopter for pipeline and refinery inspections. New York officials expect the Griffiss drone research initiative to help lure tech companies to central New York, which has suffered economically with the decline of manufacturing. Cuomo has pledged up to $250 million under his Upstate Revitalization Initiative to foster growth of the unmanned aerial vehicle industry. A key player in that initiative is Syracuse-based Gryphon Sensors, which used $5 million in state funding to develop a van equipped with radar to spot drones up to six miles away. Gryphon developed ground-based sensors and radars that track aircraft at the NUAIR test site. Like self-driving cars, unmanned aircraft will ultimately need onboard sensors allowing them to detect and avoid obstacles including other aircraft, Basile said. "Once technology has gotten to that point, the sensor systems used in this corridor will be repurposed to give additional coverage around airports or other places," he said. Basile said it will take about a year to design the corridor, install sensor equipment and begin flight testing.